Finally, after weeks of not being able to, I have been able to play through a significant chunk of Mario & Luigi: Dream Team, possibly one of the best Mario RPG‘s I’ve played so far. Let’s not waste any time and jump on in! Mario and company travel to Pi’llo Island to vacation and, of course, something goes wrong. Antasma, a villain hellbent on taking over the world, kidnaps Peach and forces Mario to venture into the Dream World via Luigi once Luigi opens the Dream World accidentally and frees Antasma from his dreamy prison. Dreambert, the prince of an ancient race called the Pi’llos, asks of the help of the Mario Bros. to save his people and stop Antasma, to which they agree. I won’t spoil anything (because, well, I haven’t finished the game yet. I’m close! 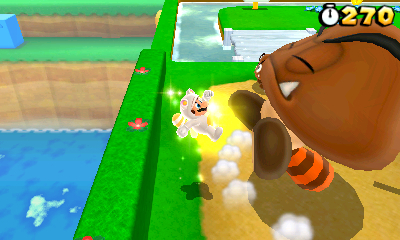 ), but Bowser does get involved, and some of the stuff gets crazy! But, a typical Mario plot. Nothing to be laugh at, though, as the Pi’llo history is actually quite complex, and the plot is pulled off in dreamlike (ha!) style. So, let me get this out of the way: I never played Bowser’s Inside Story. I will, I swear, but I haven’t yet. So I didn’t know who Starlow was when she was introduced here. However, she’s a little nagging. She’s not an awful character, but I’m definitely not a big fan. The new characters are great, especially since Dreambert is very serious and has to interact with the goofy world of the Mario & Luigi series. It’s very funny. Mario and Luigi themselves are great, as usual, and the random characters the bros. encounter are fantastic. The dialogue in Mario RPG’s have always been fantastic, and this game is no exception. The dialogue is crisp and witty, and I found myself laughing on more than one occasion! Also oh MY GOD POPPLE IS IN THIS GAME IT IS INCREDIBLY HYPE! The gameplay is the BIG seller, here. In the over world, you are either in the real world as the Mario Bros., or in the dream world with Mario and Dreamy Luigi, a version of Luigi conjured up by Luigi as he sleeps. This Luigi is more Mario-like thanks to the dream embodying Luigi as Luigi wants himself to be. In the dream world, Luigi can also manipulate his dreams through Dreamy Luigi, able to conjure up hundreds of himself to perform certain actions and movements (such as stacking to make a tower of Luigis or like a top to spin into the air). But that’s not even close to the best part. The combat is where it’s at for this game. In the over world, you battle with Mario and Luigi in classic Mario & Luigi style. Again, the battle animations and timing for the hammer are from Bowser’s Inside Story, and so they looked really cool to me. 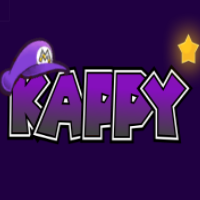 The badge system is also from there, and while it’s cool, I wish it was more like the original. A small complaint, however, completely negligible once you get to dream world combat. In the dream world, Mario fights by himself against a small army of enemies with Dreamy Luigi powering him up. That means when Mario jumps, he has the power of at least 20 Luigis added on. Those same Luigis rain down on your enemies after you jump, or the Luigis create a giant shockwave with their hammers after you hammer the ground. It’s a really cool way to show that Luigi is still part of the battle. And, just as there are Bros. Attacks in the real world with Mario and Luigi (which are awesome), there’s what’s called Luiginary Attacks, which are literally Luigi being a god. He stacks, he creates a giant hammer, he becomes a living Katamari Damacy and then has Mario kick him. The possibilities are endless, and fitting for a game that represents the Year of Luigi. His attacks are ridiculously cool. AND, to add onto that, it’s harder in the dream world because if Mario dies, it’s game over. Goodbye builds of Mario being the powerhouse and Luigi being the tank; in the dream world, Mario gets bopped because of his low defenses, so you’re punished extra hard for being hit. On the flip side, Dreamy Luigi gives him more HP and BP, but it’s usually not enough. To put it in perspective, I’m running Super Crit Bros. (where I only upgrade Stache), and my Mario takes roughly 35-50 damage from the small army enemies, and that small army attacks multiple times in one turn. I’ve gotten multiple game overs from regular dream world fights. I’m not knocking that difficulty, though. I love it. Oh, OH, and before I forget, Luigi bodies giant enemies by turning into a giant Luigi. They feel epic. I felt epic bodying them. Everything about giant Luigi is epic. In classic Mario & Luigi style, the atmosphere is RPG-like, yet super-goofy. The dialogue, as I said before, is on point and very funny. There are a lot of reference Easter Eggs. 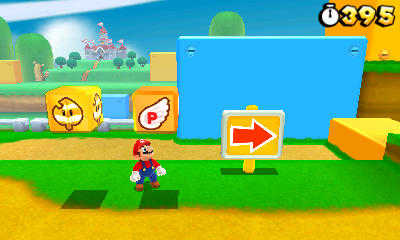 The areas are nicely designed, the 3D is cool (especially during some Bros. Attacks), and the art style is cool. I really like the Dream World designs, especially the longer ones. Most of them are just short mini-levels, though even those are well-designed and not cumbersome. What I really liked here was the music. Most of the music is great, especially the battle music, and ESPECIALLY boss music. I first heard the music when facing Bowser and Antasma in the beginning of the game, and it felt way more epic than it should’ve because of the music that was playing. Seriously, go to YouTube and give it a listen – it’s great. Other than that, this is good, but nothing spectacular. If you love Mario RPGs, get this game. If you love the Mario & Luigi series, get this game. If you have a 3DS get this game. In short: GET THIS GAME.